Emma’s been with LegalEdge from the start, helping found the business with Donna in 2009. She has a strong tech background and more than 10 years’ commercial legal experience supporting business teams on a wide variety of commercial legal matters internationally. Our clients love her absolute attention to detail, sensible approach and willingness to go the extra mile to get the deal done. She’s a contracting whizz – her speciality being complex software licensing negotiations and making sure the contract management process runs smoothly and efficiently. 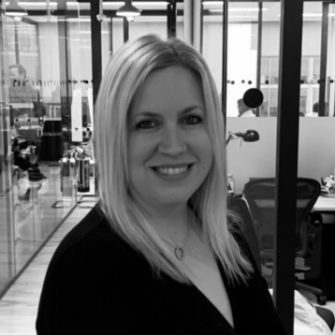 I cannot recommend Emma enough - she has been pivotal in helping us close some of the largest deals in our portfolio and her depth of knowledge and experience has been a large contributor to our success. She has helped to expedite legal processes and always finds interesting solutions to problems that each opportunity throws up. Thank you Emma, would have absolutely no hesitation recommending you or working with you again. It is a real pleasure to know and work with Emma. We were first introduced in 2010 and the quality of her work has always been exemplary. On a number of occasions she has has had to work tirelessly to meet extremely demanding deadlines. Whatever the situation, Emma always upholds the highest levels professionalism and produces excellent results. In addition to a strong work ethic and determination, she is a delightful person with a very pleasant demeanour, which makes it a real pleasure to work with her. I would recommend Emma without hesitation and am very happy that she is a part of the hybris legal team.